It’s a long way to Australia but with so many beautiful sites to visit and of course, exciting events to watch such as the 2018 Gold Coast Commonwealth Games, the hours spent travelling are well worth it. In our previous blog we talked about the best areas to stay in according to which sporting events at Gold Coast 2018 you’d like to see. In this blog we look at how to get more out of your trip to this spectacular destination with some extended stay options. 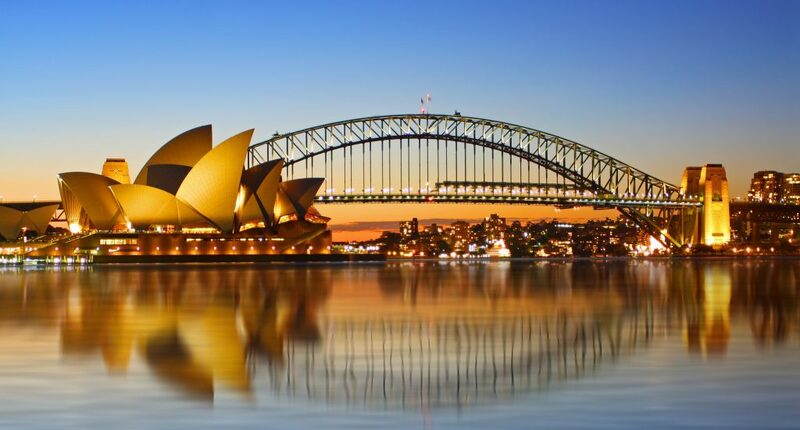 Just an hour and a half flight from the Gold Coast and you’ll arrive in Sydney; one of the most popular cities in the world and well known for its famous sail-design opera house that sits on the edge of the water, not far from the impressive Sydney Harbour Bridge. A great way to enjoy both of these iconic landmarks is with a BridgeClimb where you’ll do just that – climb over 1,000 steps to stand 440 feet (134 metres) above the water on top of the Sydney Harbour Bridge and soak up an amazing view. You can also enjoy the delights of the city via the water with a hop-on, hop-off cruise pass which stops off at eleven famous places including Darling Harbour and Taronga Zoo. Come here for: world famous sites such as Bondi Beach and Sydney Opera House whilst enjoying an endless range of shops and restaurants, including fantastic coffee shops – if you haven’t heard, coffee in Australia is a big deal. If you’re going to visit anywhere during your time in Australia, this should be top of the list. It is known to the local Butchulla people as K’gari, meaning paradise and with miles of beautiful, white beaches and crystal clear water; it’s obvious why! In fact, Fraser Island is known as the world’s largest sand island at 123km (76 miles) long and 22km (14 miles) wide. It is also the only known place on Earth where rainforest grows on sand, creating a beautiful and unique landscape of thick trunked trees that tower 50 metres high and a series of overlapping sand dunes that date back at least 700,000 years. The surrounding water is thriving with colourful and fascinating sea life making it the perfect place to grab your snorkel or go scuba diving. Come here for: idyllic and breath-taking views of the island as the sunset casts a beautiful glow over the sand. To explain why you should visit Tasmania could take a while as there are many reasons so we suggest you take a look at Tasmania tourism’s Instagram account. Here you’ll find endless snaps of wildlife, national parks, waterfalls, hiking trails and wonderful places to relax and enjoy your holiday – a picture truly tells a thousand stories. Amongst the beautiful landscapes you’ll also discover incredible food and drink opportunities. Visitors are spoilt for choice, from cafes to food markets (visit the Salamanca Market in Hobart), bakeries to bistros (visit Black Cow Bistro in Launceston) and gourmet restaurants. There are also a range of vineyards to be discovered as the state has seven distinct sub-regions that produce a range of wine-styles and offer a variety of experiences for tourists. Come here for: nature! The rugged mountains and shimmering water make it difficult to leave this picture perfect island. Lonely Planet’s writer, Peter Dragicevich, describes Melbourne as the “coolest city of any [he’s] visited, anywhere” – this coming from a well traveled man of the world. And He’s not wrong. Melbourne is a diverse, sophisticated and elegant metropolis, which has also been rated ‘most liveable city’ six years in a row. Its eateries and bars transcend normal expectations and rival favourites from around the world. Wander the city centre and admire the architectural contrast of grand, historical buildings and monuments (you’ll spot a lot from the Victorian era) to modern, sleek skyscrapers. Don’t miss Hosier Lane – a cobbled laneway where the walls are dedicated to street art with pieces changing almost daily. There are plenty more spaces dedicated to the arts in Melbourne, be that in the form of a gallery or museum or one of many theatres and live music spaces around the city. When you’re done taking in all of the above, Melbourne’s nightlife has more than enough on offer to keep you entertained – including nightclubs, bars and live music venues, comedy clubs and cinemas. Come here for: the Cultural Capital of Australia! Soak up the liberal, artsy, bohemian vibe with a coffee in one hand a gallery guide in the other. Are you interested in attending the Gold Cost Commonwealth Games 2018? Travel Places can put together a bespoke, tailor-made package to ensure that you catch every moment of the games with extended stay options to help you make the most of your time in Australia.